I've been keeping journals for many years since my childhood. 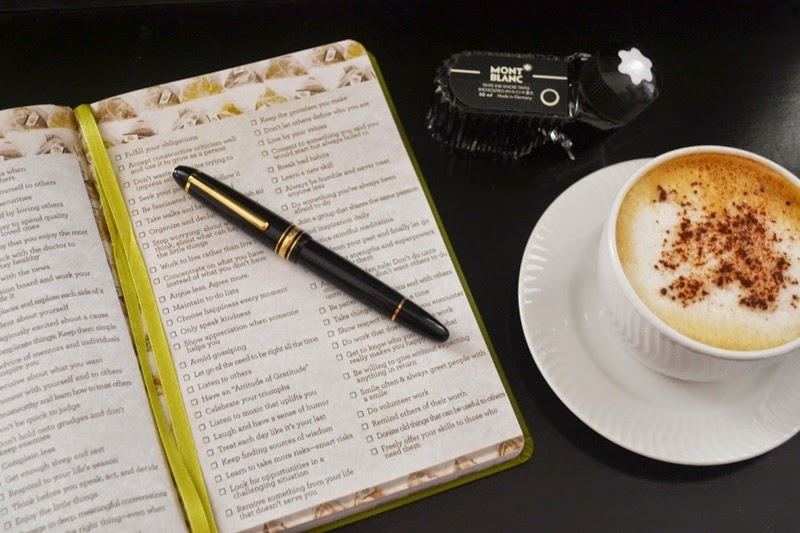 I find it so much easier to be on top of tasks and keep my schedule organized with the use of planners. I'm probably one of the few people who still prefers good old pen and paper over digital diaries or mobile phone calendars. The generous folks from The Coffee Bean and Tea Leaf kindly sent me one of their 2015 Giving Journals recently. Given I was actually meaning to start collecting stamps for it, you can imagine my delight when I received my very own 2015 green planner in the mail. After scanning through the pages, I realized this was not your ordinary planner. Not only does it keep you organized, the journal helps you brew your best year yet. Aside from the monthly calendar, you can also find 101 Ways to create OVERFLOWS in your life. 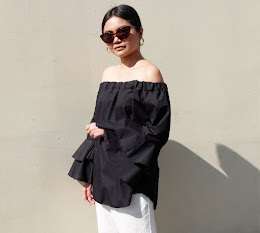 If you're searching for a dose of inspiration or something to do to gain a little more fulfillment, this list can give you just that! Other great features of the 2015 Giving Journal include a vacation planner, a bucket list guide for the year ahead, extra pages for notes and doodles as well as monthly challenges and inspirational passages that empower us to become the best versions of ourselves. 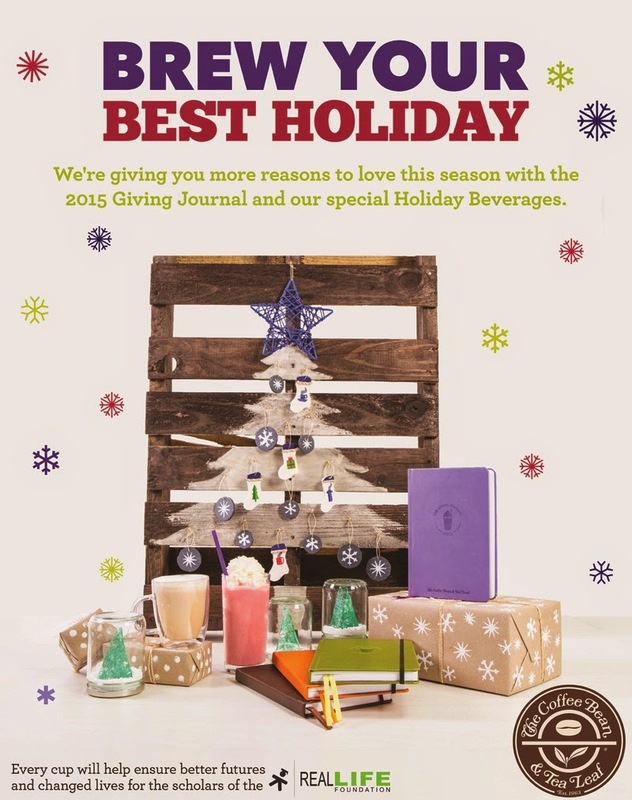 The Coffee Bean & Tea Leaf brings the spirit of the Giving Journal to life through partnerships with various social organizations. The company has raised more than P10M for a number of advocacies since 2008, but more importantly, has been able to create much needed awareness for truly worthy endeavors like Habitat for Humanity and Real LIFE Foundation. Through LIFE scholarships, poor but deserving scholars are given the material and financial assistance they need to finish their high school and college degrees. 1. A minimum single-receipt purchase of a regular or large sized Original Ice Blended, Espresso/Coffee-based, or Tea-based Beverage, Frozen Swirl or CBTL capsules qualifies a customer to get a stamp card. 4. 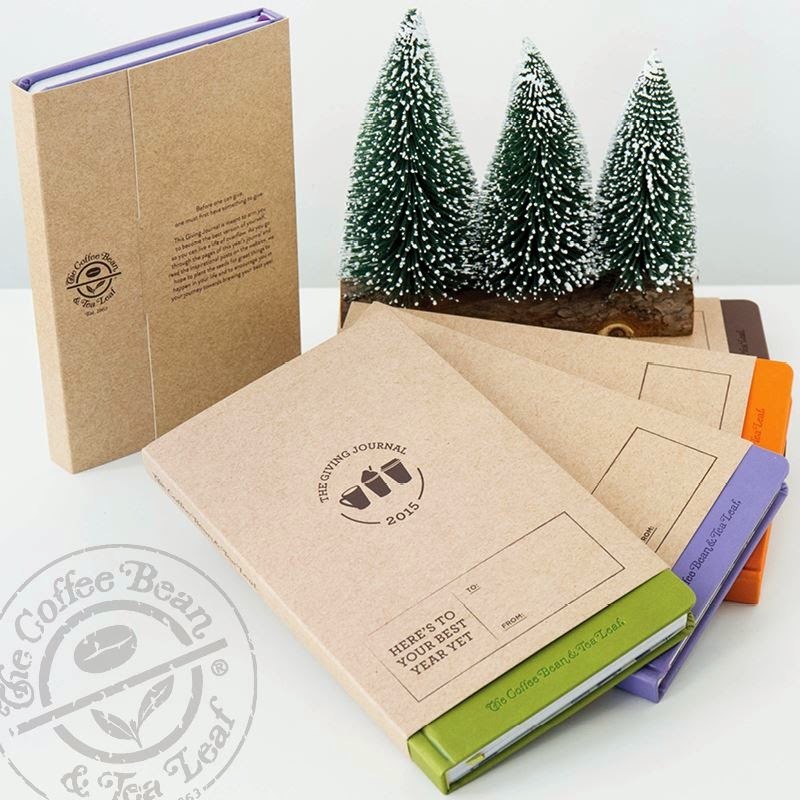 Once all 12 circles are stamped and completed IN ONE STAMP CARD, customer will be able to claim The Coffee Bean & Tea Leaf 2015 Giving Journal at any The Coffee Bean & Tea Leaf® branch. Combining of stamps cards is not allowed. For more details, you can follow them on Facebook and Twitter.